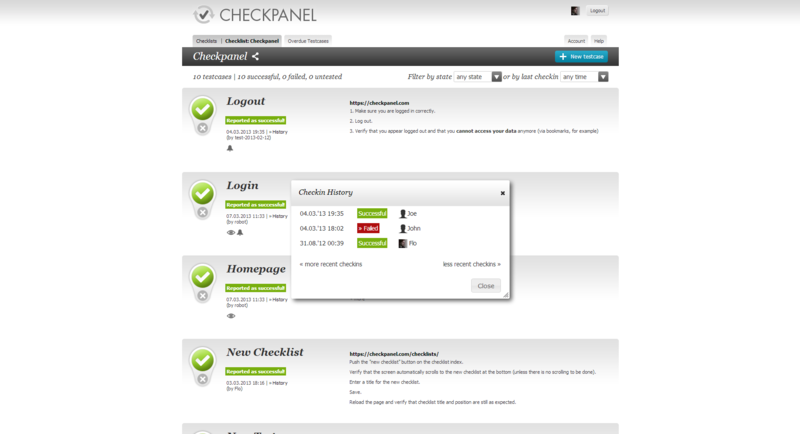 Checkpanel is a web application which makes it easy to organize checklists that need to be checked frequently. 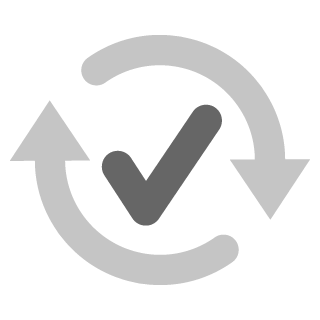 Unlike traditional checklists, items on Checkpanel checklists have three distinct states: “Never checked”, “successfully checked” and “check failed”. Checkpanel keeps track of each check so that users can review the history of each item on their list later. For example, software developers can create quality assurance checklists which contains a list of features which need to be tested after changes. If testers find a problem, they can mark the check as failed and provide details. The team gets notified, sees in the history when that item was last working successfully and can ponder what has since been changed. 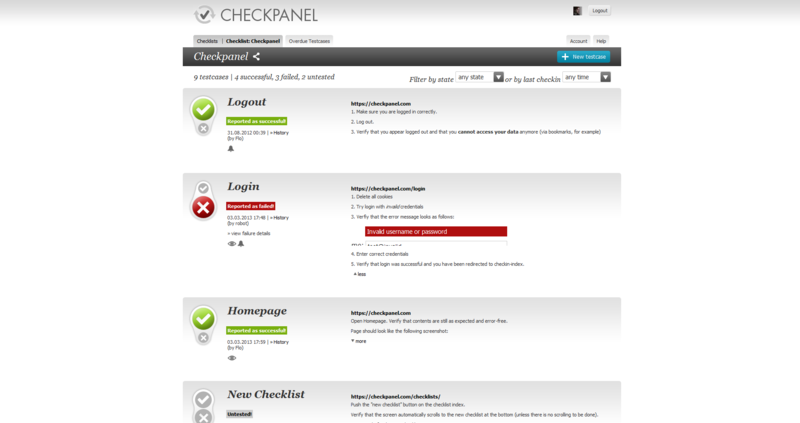 Checkpanel was founded by Florian Sander in 2013. It is fully self-funded. Currently, Checkpanel is free of charge during its public beta period. In the future, free and paid plans will be available. The following images can be used free of charge for the purpose of editorial coverage of Checkpanel. Right-click on any image and choose "Save as..." to download a higher resolution. 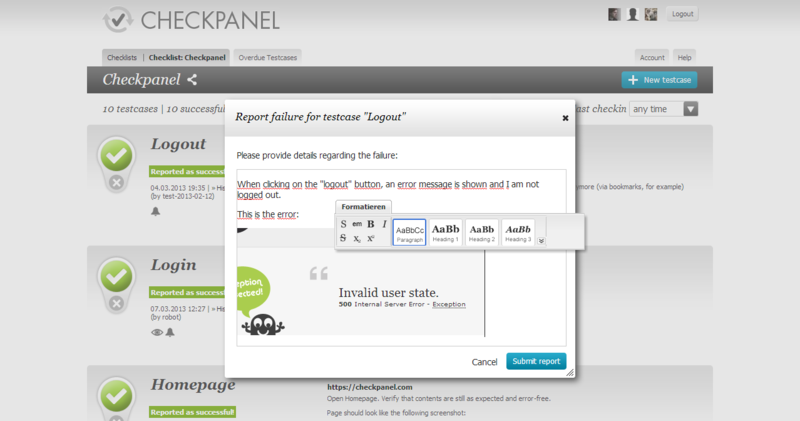 All text and images in this press kit can be used free of charge for the purpose of editorial coverage of Checkpanel.